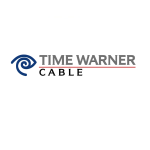 Cable television provider Time Warner has added an additional 5 HD channels in the Buffalo, NY area. The channels include NHL Network HD (Channel 729), History Channel HD (744), Disney Channel HD (750), Lifetime Movie Network HD (751) and HGTV HD (715). The channels are available at no additional charge with the Time Warner Cable HD service. Time Warner also added 5 HD channels to their high-definition lineup last week. Those channels added include CNN HD (721), TBS HD (723), Science Channel HD (737), Discovery Channel HD (738) and Animal Planet HD (739).